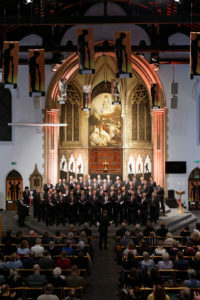 Leeds Male Voice Choir and special guests perform music for a summer evening, including ballads, classical pieces and songs from the shows at St Stephen’s, Kirkstall. 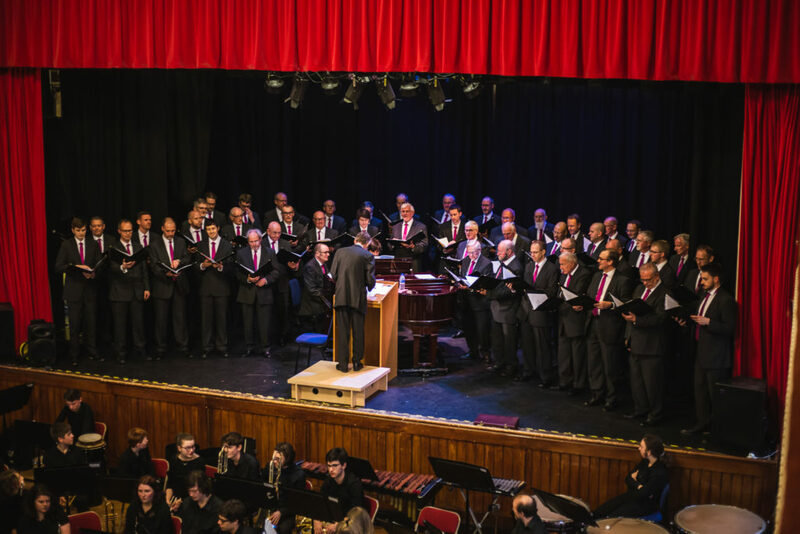 Leeds Male Voice Choir returned to Morley Town Hall for the first time in four years on March 30, with a packed concert celebrating the very best songs from the world of musical theatre. Joined by the City of Leeds Youth Wind Orchestra, to a packed audience the choir performed music including The Lullaby of Broadway, Any Dream Will Do, Coffee in A Cardboard Cup, This Nearly Was Mine, Make Them Hear You and Bring Him Home. 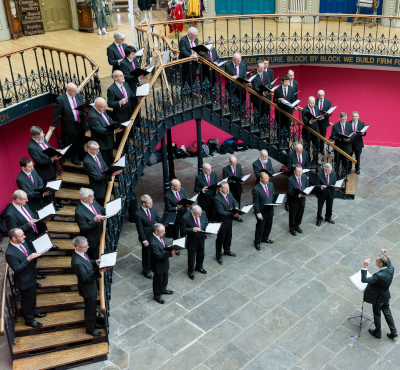 Leeds Male Voice Choir have launched their 2019 concert programme and are offering followers the opportunity to be a friend of Leeds Male Voice Choir, including tickets, premium seating and a host of extras. Two Tickets to the concerts of your choice in 2019. A complimentary ticket for a guest to any of the first three concerts of the year. Reserved premium seating at your concerts of choice. Exclusive backstage access to the choir. Join Leeds Male Voice Choir for post concert drinks. Vicente Magalhães joins the musical team in January 2019 as Accompanist after an extensive recruitment process. A noted jazz and classical pianist, Vicente will provide rehearsal and concert accompaniment and join the choir on their forthcoming tour of Budapest. Originating from Lisbon, Vicente holds a Bachelors Degree in Music from the University of York and Postgraduate Diplomas from Leeds College of Music in Jazz and Creative Music. 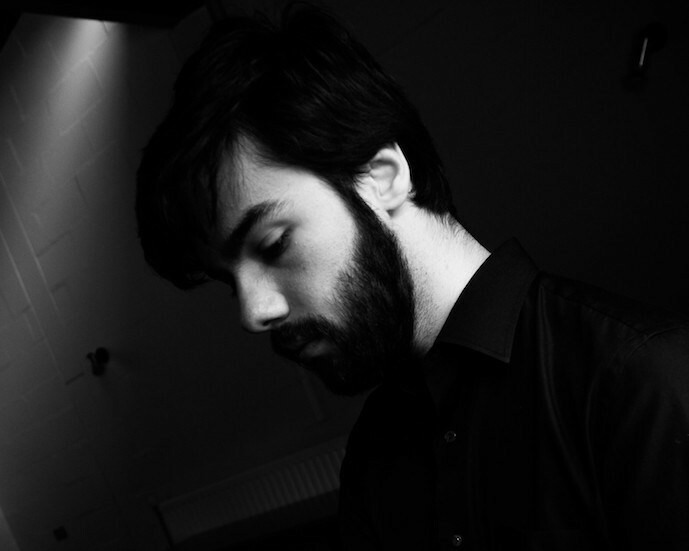 Vicente has previously led the University of York Big Band, has provided choral accompaniment in York and performs his own original music with his own jazz trio throughout Leeds and York. 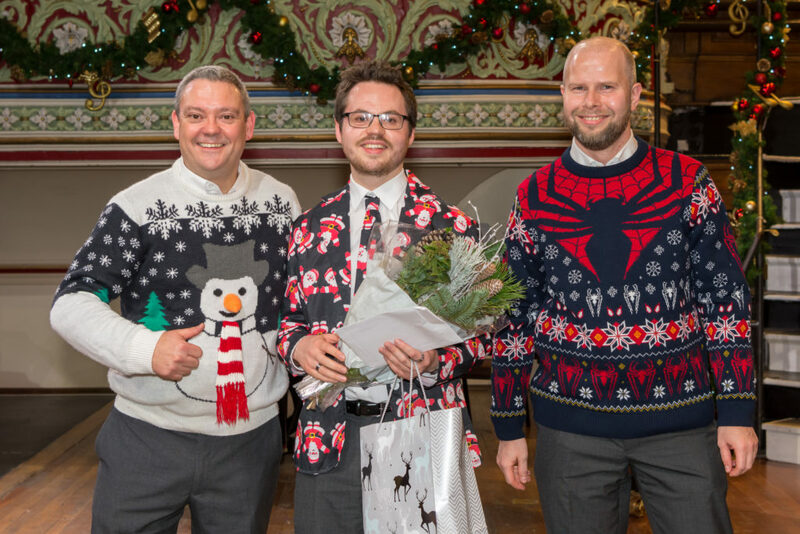 Leeds Male Voice Choir wave a fond farewell to Matthew Lazenby, the choir’s accompanist of five years in December 2018 at Dewsbury Town Hall as he prepares to move to Paris. Matthew was appointed as accompanist in 2014 and has provided rehearsal and concert accompaniment to the choir in a variety of venues including Leeds Town Hall, St Bavos Cathedral, Ghent, Leeds Cathedral, Leeds Minster and Morley Town Hall. 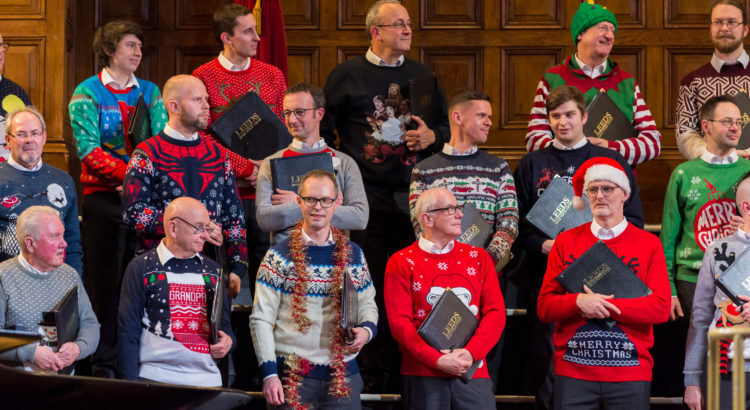 Matthew will be succeeded by Vicente Magalhães in January 2019..
Leeds Male Voice Choir performed The Spirit of Christmas in December 2018 in both Leeds Cathedral and Dewsbury Town Hall, in the fifth year of their annual festive celebration. Supported by guest violinist in Leeds and the fabulous Horbury Singers in Dewsbury, both concerts supported good causes in the local areas; Kirkwood Hospice in Kirklees and St George’s Crypt in Leeds. Music included We Needs a Little Christmas, Huron Carol, Silent Night, Mary Had a Baby, Hark the Herald Angels Sing, Silver Bells, Let it Snow! Let it Snow! Let it Snow!, Do You Hear What I Hear? and Gaudete. Festival of Remembrance raises funds for Royal British Legion. In November 2018 Leeds Male Voice Choir hosted the city’s Festival of Remembrance in support of the Royal British Legion at St George’s Church in central Leeds. The choir were joined by City of Leeds Pipe Band and Masterworks Chorale to commemorate the anniversary of the end of the First World War. Music performed included The Prayer, Abide with Me, Onward Ye Peoples, The Lord’s My Shepherd and Sure on This Shining Night. In total over £800 was raised for the Royal British Legion. New men’s community choir formed! 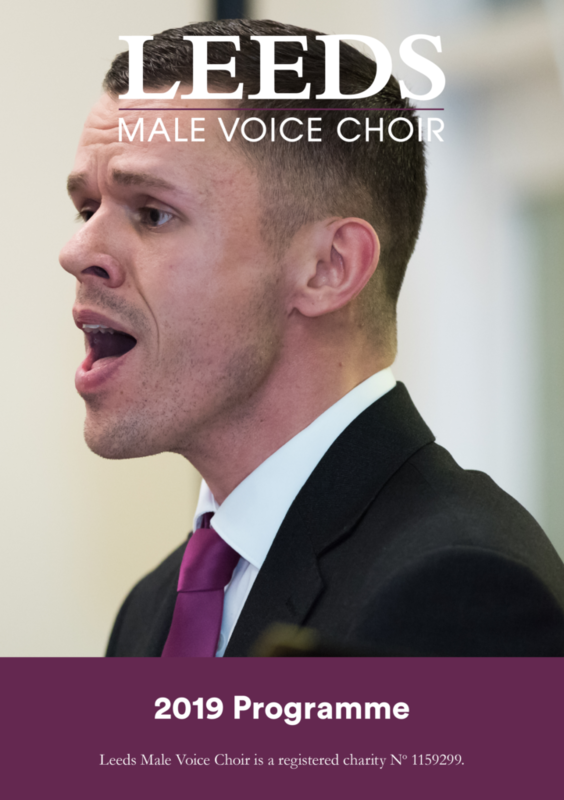 Leeds Male Voice Choir have formed a new men’s community choir, Rogues Choir which meets every Tuesday evening at Yorkshire College of Music and Drama close to Leeds city centre. 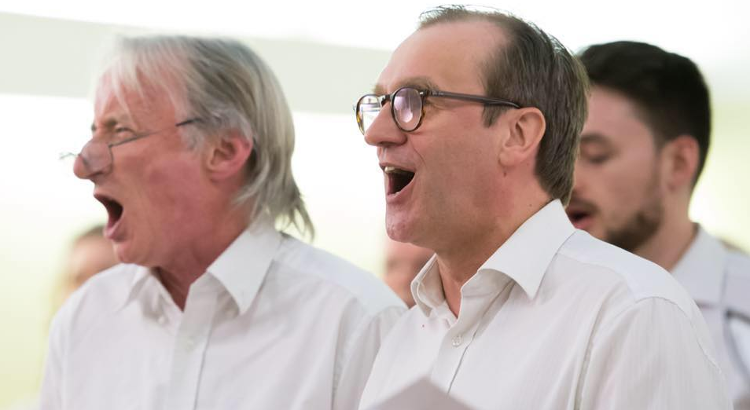 Following the conclusion of an eight-week singing course Find Your Voice – many of those attending were keen to keep singing regularly – and Rogues Choir was formed. Rogues Choir is open to all men and no previous experience is needed. The choir is keen to hear from anyone who would like to try singing with them.